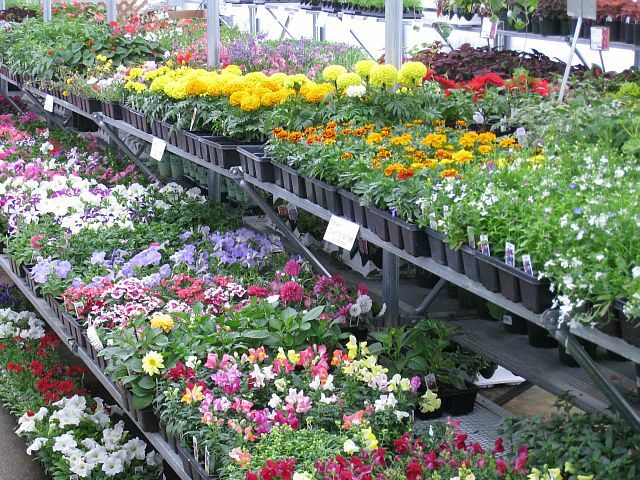 We carry a huge selection of annuals in our greenhouses. From late April through early June, beautiful shipments of annuals arrive weekly. We have the usual assortment of bedding plants as well as a wide selection of more unusual annuals and tropicals. Also, in our greenhouses, you will find herbs, fruits and veggies, annual vines and grasses, succulents, fairy garden and terrarium plants, and gorgeous hanging baskets and combination containers. The price lists here provide just a glimpse of what is in store for this season, so plan a trip to the nursery to see what all is new and exciting in the greenhouse!